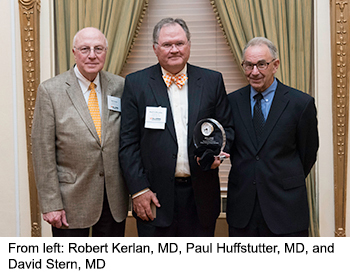 Paul Huffstutter, MD, Assistant Professor of Surgery and Co-Director of the UT Center for Advanced Medical Simulation, received a 2016 Outstanding Alumnus Award from the UT Health Science Center College of Medicine. Dr. Huffstutter completed his education on a "fast-track." Following his graduation from Dyersburg High School, Huffstutter earned a bachelor’s degree in zoology from the University of Tennessee at Martin in only three years. During his senior year, he balanced his accelerated course load with his teaching duties as a biology instructor at the University. In 1973, again in just three years, Dr. Huffstutter graduated from the University of Tennessee College of Medicine. He completed his internship at Baptist Memorial Hospital in 1975 and his surgical residency at the University of Tennessee in 1978. In a little more than 10 years, Huffstutter went from high school student to practicing physician and academic medical instructor. 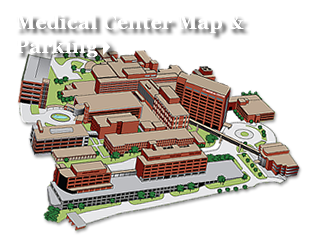 In 1978, Dr. Huffstutter began his career in academic medicine as an instructor in the department of surgery at the University of Tennessee College of Medicine, serving on the faculty until 1982. During this time, he maintained a thriving private practice in West Memphis, Arkansas. Huffstutter also served as the chief of surgery, the chief of staff, and chairman of the credentials committee with Crittenden Memorial Hospital until 2008. Dr. Huffstutter retired from the practice of surgery in 2008 and, in what he describes as his most meaningful detour, helped build the UT Center for Advanced Medical Simulation at the UT Graduate School of Medicine. Today, in addition to his leadership in the simulation center, he is also an Assistant Professor in Biomedical Engineering for the Institute of Biomedical Engineering for the University of Tennessee, Knoxville. Dr. Huffstutter has also authored or co-authored numerous publications, conducted workshops and educational presentations, and sat on countless scientific panels throughout his career. Dr. Huffstutter's ties to UTHSC remain strong, as it is a place to which he says he’ll always return. His volunteer efforts, including past president of the University of Tennessee College of Medicine Alumni Council and past member of the University of Tennessee Alumni Board Governors, are to be commended.